(St. Lucie, County FL) - The Florida Department of Health in St. Lucie County encourages all residents who have not been immunized to get vaccinated immediately. 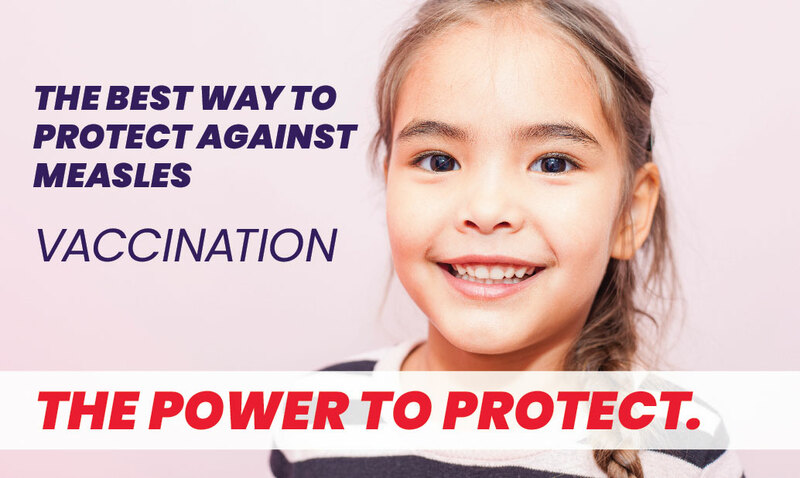 The Measles Mumps and Rubella (MMR) shot is the best way to protect against measles. Those who are fully immunized have very little risk of developing measles. Ideally, children should receive two doses, the first dose at 12 to 15 months of age, and the second dose at four to six years of age. Children and adults who have not ever received MMR vaccine in the past should also get vaccinated. Pregnant women should talk with their doctors about vaccination as there are serious risks associated with measles and unborn babies. Ideally, children should receive two doses. Measles starts with fever, runny nose, cough, red eyes, and sore throat. It’s followed by a rash that spreads over the body. Measles is a highly contagious virus that lives in the nose and throat mucus of an infected person. It can spread to others through coughing and sneezing. Also, measles virus can live for up to two hours in an airspace where the infected person coughed or sneezed. If other people breathe the contaminated air or touch the infected surface, then touch their eyes, noses, or mouths, they can become infected. Measles is so contagious that if one person has it, 90% of the people close to that person who are not immune will also become infected. Infected people can spread measles to others from four days before through four days after the rash appears. Environmental management of measles should include routine cleaning and disinfection, as well as more frequent cleaning of commonly touched hard surfaces, such as food trays, lavatory surfaces, and door handles. Routine hand hygiene is an important line of defense against infection with measles viruses, as well as other viruses and bacteria. Wash hands with soap and water for 15-20 seconds. If soap and water are not available, use an alcohol-based hand cleaner. Thank you for your assistance in this important matter. If you have any additional questions, please contact the DOH-St Lucie at (772) 462-3800. For more information, visit: http://www.floridahealth.gov/diseases-and-conditions/vaccine-preventable-disease/measles/index.html.